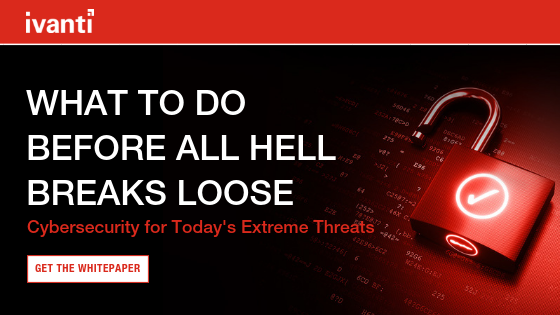 Protecting endpoints, your users, and your data is becoming increasingly more difficult. And with a more mobile workforce that’s working outside the walls of the corporate office, protecting and detecting threats and criminal activity are real challenges for both the InfoSec and desktop engineering teams. With the continuation of ransomware attacks, phishing scams, and exploited vulnerabilities, there is no one solution that can proactively protect, detect, and respond to such attacks. And the growing number of mobile users and laptops means that more focus must be placed on those devices that sit outside the corporate firewall, may not come into the office, or never connect back into the network. Ultimately, users need access to applications and data. The operating system and the device are nothing more than a means to get access to those applications and data. So in a world where the endpoint is under attack and becoming more difficult to manage (thanks to an ever-updating OS), many folks are starting to ask if there’s a better way to deploy apps and data to our mobile workforce. Since the late ‘90s, Citrix have been leading the charge in the Remote Desktop services space, and for reasons in addition to security, have been promoting the benefits of desktop virtualisation and use of remote protocols to desktops and applications running inside the data centre. Today, Citrix, VMware, and AWS lead a market commonly referred to as Virtual Desktop Infrastructure (VDI) or Desktop-as-a-service (DaaS). Recently at Microsoft Ignite, Microsoft validated the VDI space by offering Windows Virtual Desktop (WVD) on Azure for no additional licencing cost. Historically, VDI has helped remote users on low-bandwidth connections gain faster access to apps, and for many has enabled “any-device access” to applications from anywhere. This cost-effective way of delivering applications is proven and scalable. By hosting desktops and applications in virtualised data centres, the applications and therefore the data never leave the data centre. In today’s world of increased cyber threats and a more mobile workforce, it’s easier, cheaper, safer, and more manageable to bring the desktop back into the corporate castle—into the data centre—where it can be managed and secured. Take a few minutes to learn more about centralized secure management of physical and virtual endpoints with the help of Ivanti solutions, including User Workspace Manager. Simon Townsend, based in Reading, UK, is Ivanti’s Chief Technologist for EMEA. He’s a passionate and experienced technologist and evangelist with both field- and executive-level experience, and has held leadership positions in global systems engineering, pre-sales, and product management. His specialties include digital transformation, end-user computing and workspace management, and endpoint security.